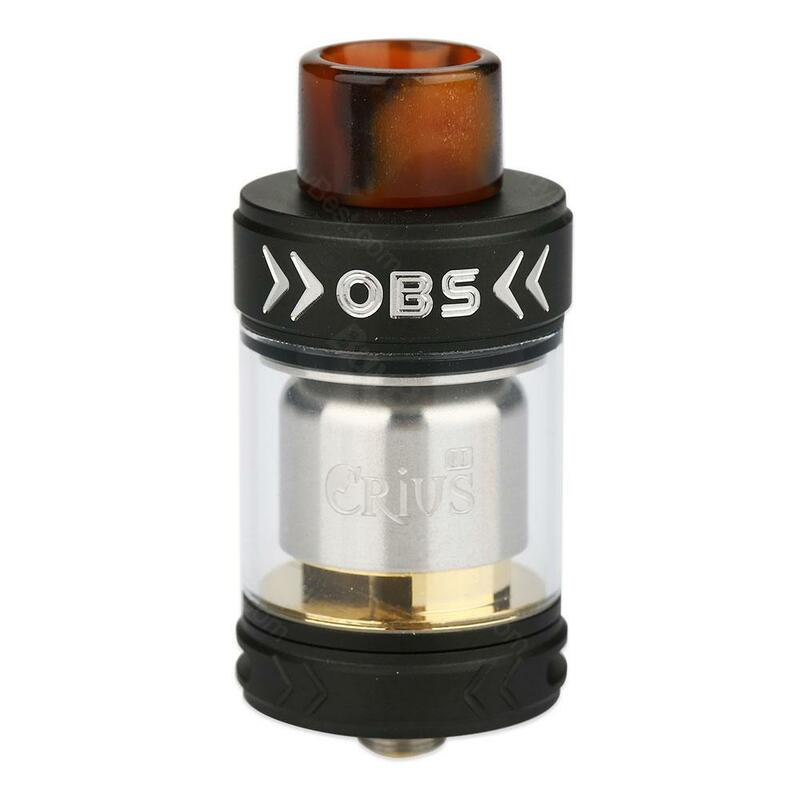 New OBS Crius 2 RTA adopts 3.5ml e-juice capacity and 25mm diameter. The Crius 2 RTA is a single coil building tank. It has a convenient OBS style top side filling design. OBS Crius 2 RTA is designed for single coil building fans, which adopts an all new designed deck for easy & quick single coil building with a high-tech Zirconia black piece which is heat-resistant, corrosion-resistant and anti-oxidative. And with the OBS style top side filling system, it can be refilled easily just by pushing up the top cap. Together with a precise airflow circulation system on the deck, dual adjustable bottom airflow and a 15mm resin material wide bore drip tip, Crius 2 RTA will bring you an excellent vaping experience with nice taste and huge vapor. • You can select the E-juice, Wire, Wick & Tool at BuyBest too. Nice flavour . Product is Original confirmed by scratch code and checked it on official website.Took on wismec sinuous p80, sat perfectly, very easy to build. I googled Crius RTA, and found this site by accident. There are so many cool stuff and most importantly with all the cheap price. I thought I'd give it a try. When I got the parcel, I was surprised. Very well packed and quality was great. Definitely will recommend this shop to my friends. nice RTA with good price. OBS seems have those cool RDAs. I loved the original Crius version, and wanted to check this one out. Also a solid RTA with nice flavor and cloud. Good quality, every detail is good .I recommend it to everyone it is convenient to fill in more e juice at the top who just has to show without dismounting anything!